With schools starting after Labor Day - Labor Day Weekend is a the perfect opportunity to make even more summer memories in Maryland. Here’s a list of ideas to get you inspired. No other event provides so much food, fun and family entertainment for so little: tame and thrilling rides, classic and local foods, livestock, farm, garden, home exhibits, thoroughbred racing; live national concerts. 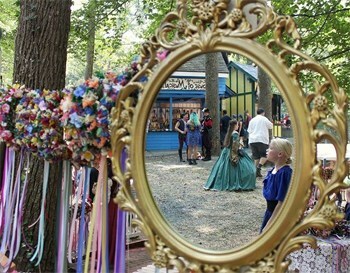 If you think four centuries back isn’t Ye Olde Enough for you....check out the annual Maryland Renaissance Festival in Crownsville near Annapolis. Hooray-hooray school starts after Labor Day!! Let's take advantage of this extra opportunity to enjoy Ocean City, with great discounts on hotels (excludes Labor Day weekend) and more. Enjoy a little more fun in the OC sun! The 71st Annual National Hard Crab Derby & Fair will be a crab-extravaganza with crab races, crab picking and crab cooking. In addition, there will be boat docking contests, parade, games, rides, fireworks, arts/crafts, live entertainment and of course - fabulous seafood! Spend Labor Day Weekend at the Allegany County Fairgrounds for The Western Maryland Street Rod Roundup. It's three days of high octane fun in Cumberland. 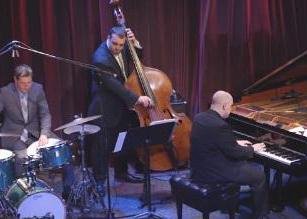 Send off summer with the scintillating sounds of jazz at this Labor Day favorite. Ten years in and growing every summer, make the trip once, and this one is sure to become an annual tradition. You won’t want to miss this classic concert, also make sure to check out our Summer of Music page for more great music festivals and concerts. Deal Island is The Real Deal! 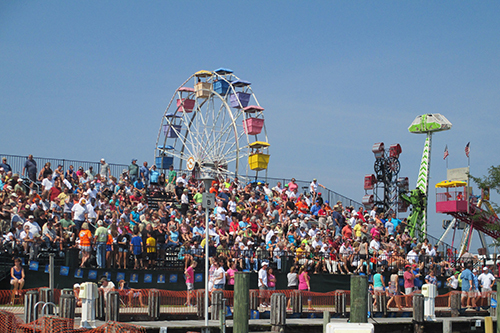 The festival will include parades, a fair, local food, car show, live music, the blessing of the boats, Smith Island Skiff Race and the legendary Skipjack Race - where boats and hard working crews battle to be the "fastest in the fleet." Bring your family and friends to explore the natural side of Fort Frederick State Park with self-guided and staff-led outdoor nature and recreation activities for all. We may be in the “R” months, but you don’t have to let your summer slip away. The water is still warm, the sun is still shining, and Maryland is definitely the place to be in September; with the kids not back in school until after Labor Day, you can enjoy a longer Summer. Check out our September's Summer Sendoff page for other great family fun suggestions. Sounds like a lot to do, but there’s always more in Maryland! For more great Labor Day getaways, check out our Events Calendar.